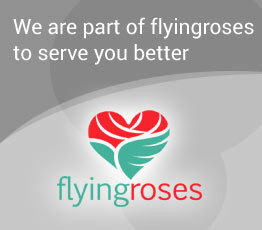 To serve you better, we are part of FlyingRoses.com, providing international flowers delivery to 13 countries. In case of same day order, cake might be substituted with the closest alternative if the above is not available. 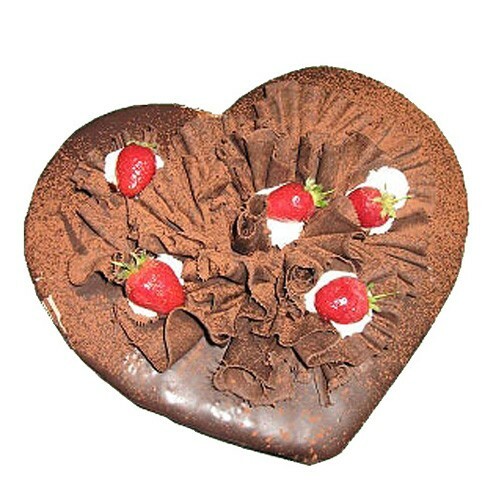 This Heart Shaped Chocolate Cake is a perfect combination to impress your special one. When Heart Shape and Chocolate taste are combined we receive an amazing combination. That awesome taste and that lovely shape will win anyone. It is also a perfect gift on Valentine's Day or just because. Sweet Shape Chocolate sponge cake soaked in sugar syrup, sandwiched with Super Rich Chocolate cream. This Cake will be highly appreciated for any love and emotions occasion. Flowers Qatar currently offers delivery of flowers to Doha and all regions of Qatar, including US military bases. We will soon be adding cakes, chocolate gifts and balloons. Send flowers to Qatar for Valentine, Mothers' Day, or just to say Hi. Our florists have extensive experience in Qatar flowers delivery and you will be amazed by our prompt online service. 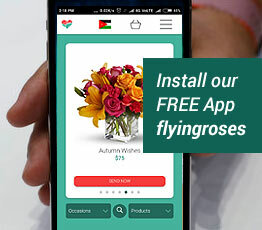 FlowersQatar.com 2019 part of Flying Roses - Online flowers delivery to Doha and all areas of Qatar. If you are searching for a reliable and efficient flower shop in Qatar, you just won't find a better place to order flowers online than from Qatar’s renown hometown local florist. Flowers Qatar is Qatar’s premium florist and top ranking on Google’s search. To best prove to this is that on our website, flowers are not a side business but our core specialty. Whenever you want to send flowers to Doha and Qatar we offer the best flowers in Qatar. For Qatar flower delivery, you will find bouquets and arrangements for all Qatari and international occasions: Birthday, Anniversary, Just Because, New Baby, Love & Romance, Sorry, Get Well, Wedding, Graduation, and Sympathy. We similarly have the adequate arrangement for all holidays: Christmas, New Years, Valentine’s Day, Easter, Mother’s Day, Ramadan, Eid El Fitr, Eid El Adha, and Father’s Day. Our finest flowers are available in a vivid colors and shades so you can easily find the right floral arrangement for any occasion. We take immense pleasure in assisting you stay in touch and convey your feelings to your friends and significant others in your life by providing the best selection of flowers and arrangements, from roses to tulips to carnations to orchids to gerbera daisies. You can also find hampers, cakes, chocolates, balloons, and teddy bears. Whether you are looking for a flower bouquet or a gift basket, our variety of flowers and gifts provide you with ample choices. Recognized as being one of the best flower shops in Qatar, our customer service team and call center operators are always there to assist you with your orders. Whatever is the occasion give us a call or drop us an email on [email protected] and we will assist replying to any clarification, placing an order, or just following up the delivery status of your order, we will also help you find the perfect flowers and gifts in Doha Qatar to celebrate life's most meaningful moments with your loved ones. For flower delivery to Doha or to all areas of Qatar, trust Flowers Qatar to deliver all your flower arrangements and specialty gifts, because flower delivery in Doha and Qatar is what we do best! The delivery of flowers and gifts to all locations in Doha and its suburbs are free. We also deliver flowers and gifts to the American Army camps scaterred in Qatar. Same day flower and gifts delivery is available if order is received before noon Qatar local time. If your order is received after this time we will do our utmost to deliver on the same day, otherwise if it is not possible we will deliver your order on the next day delivery. Send flowers and gifts to Qatar – Send flowers and roses to Doha – Send flowers and cakes to Al Ghuwariyah – Send flowers and balloons to Al Jumaliyah (Al Jumayliyah) - Send flowers and tulips to Al Khawr – Send flowers and chocolates to Al Wakrah – Send flowers and hampers to Ar Rayyan – Send flowers and gifts to Jariyan al Batnah – Send flowers and teddy bears to Ash Shamal – Send flowers and plants to Umm Salal – Send flowers and specialty gifts to Mesaieed – Send flowers and arrangements to American Army Camps in Doha - Send flowers place your order online with us and we will take it from there.